Should a Patent Foramen Ovale be Closed? Controversies in Neurology: Should PFOs Be Closed? Does Closing a Patent Foramen Ovale Prevent Strokes? All of us once had a hole in our heart. Blood flows very differently through the body of an unborn fetus compared to an adult's. For one, blood flows through an opening between the left and right side of the heart through an opening called the foramen ovale. With our first breath of air, though, the pressure gradient between the left and right side of the heart changes, and a flap of tissue seals the foramen ovale. From then on, the blood flows in a pattern common to almost all adults. Sometimes, though, the foramen ovale doesn't seal completely, leaving what is called a patent foramen ovale, or PFO. This is actually pretty common and has been said to affect about one in five people. As alarming as it sounds to have this connection between the two sides of the heart, most research suggests that PFOs are harmless most of the time. 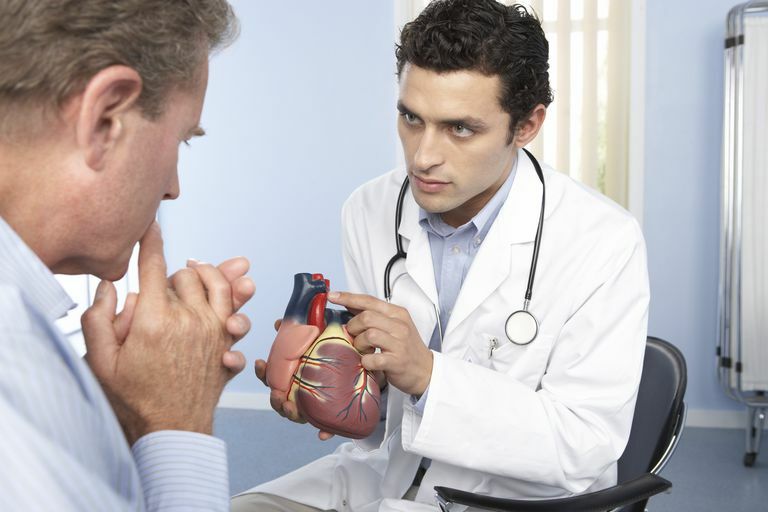 Some physicians, however, believe that a PFO can increase the risk of stroke. The theory goes like this: a blood clot forms in the legs and travels through the venous system up to the heart. Blood is usually sent from the right side of the heart to the lungs to drop off carbon dioxide and load up on oxygen. The blood vessels where this gas exchange occurs are very small, and any clots traveling through the veins (emboli) will likely be filtered out in the lungs. This natural filter may be bypassed, though, if the blood is able to travel from the right to the left side of the heart without going through the lungs. It may do this if there is a hole between the sides of the heart such as a PFO, and if the pressure gradient is sometimes higher on the right side of the heart than the left (which is generally uncommon). Under these circumstances, a blood clot may travel to the left side of the heart, where it is pumped out into the body, including the brain, where the clot occludes further blood flow and leads to an embolic stroke. A clot that travels in such a fashion is called a paradoxical embolus, from para (two) and doxical (sided). There are two courses of action when someone with a PFO has a stroke with no clear cause. The first approach, as recommended by the 2012 American College of Chest Physicians (ACCP) guidelines, is to use antiplatelet therapy like aspirin. If a thrombus is present in the legs, anticoagulation with an agent like heparin or warfarin is preferred. The second approach is to seal the PFO. This is very appealing to patients who have just had a stroke and who receive the alarming news that there's a "hole in their heart." Under those conditions, a person may want to do everything possible to keep from having another, potentially even more serious, stroke. The problem is that while sealing the PFO would seem to be a sensible thing to do, extensive research has shown no conclusive benefit to this invasive procedure. The most popular way of sealing a patent foramen ovale is with a percutaneous procedure. A trained physician threads a catheter through the veins of the body into the heart, where a device is used to seal the PFO. Another method involves more invasive surgery. Large studies of PFO closure in stroke show no benefit to either procedure. One of the best trials, appropriately named CLOSURE 1, looked at people under the age of 60 with a PFO who had suffered a stroke or transient ischemic attack. Not only was there no benefit after two years, but people who had the procedure done were more likely to have major vascular complications or atrial fibrillation than those who just received medical therapy. Their results were frustrating to people who had observed that in other, weaker studies the device closure had seemed to work. Like any trial, CLOSURE 1 had flaws. Critics suggested that perhaps a better device could have reduced the risk of complications, or that the sample size wasn't large enough. That said, CLOSURE 1 has the best evidence of any previous trial, and the results are more conclusive. while some have argued that advances in the techniques used in PFO closure may now justify its use, the counterargument is that medical management is also advancing, and could still out-compete closure of the PFO. The American Academy of Neurology and more have concluded there is no benefit to the procedure in PFO, though percutaneous closure is probably still merited in less common and more severe forms of communication between the left and right sides of the heart. Such cases include a large atrial septal defect. There are still physicians around who are willing to do this procedure for those who insist on having a patent foramen ovale closed. Some people cannot bear the thought that there is a hole in the heart, even if it is a hole that we have all had, and many people continue to have without problems. For those who remain interested despite the lack of proven benefit, it is important to get an opinion from a doctor who has no financial stake in doing the procedure. Furlan AJ, Reisman M, Massaro J, et al. Closure or medical therapy for cryptogenic stroke with patent foramen ovale. N Engl J Med 2012; 366:991. Hagen PT, Scholz DG, Edwards WD. Incidence and size of patent foramen ovale in the first 10 decades of life: an autopsy study of 965 normal hearts. Mayo Clin Proc. 1984;59:17-20.